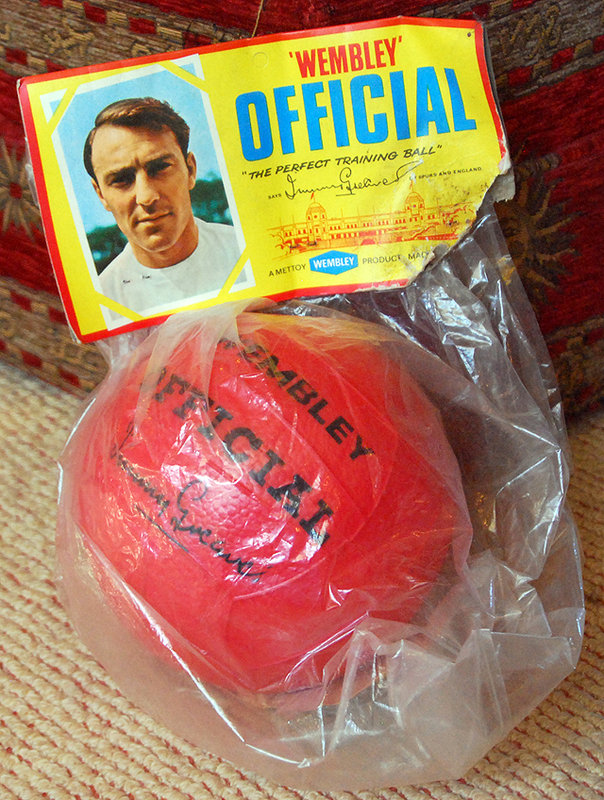 This Jimmy Greaves approved “perfect training ball” was another in the Mettoy Wembley range, the ‘Official’. It belongs to Neville Evans and is part of the vast Spurs collection he kindly let us photograph for ‘Got, Not Got: The Lost World of Tottenham Hotspur’. 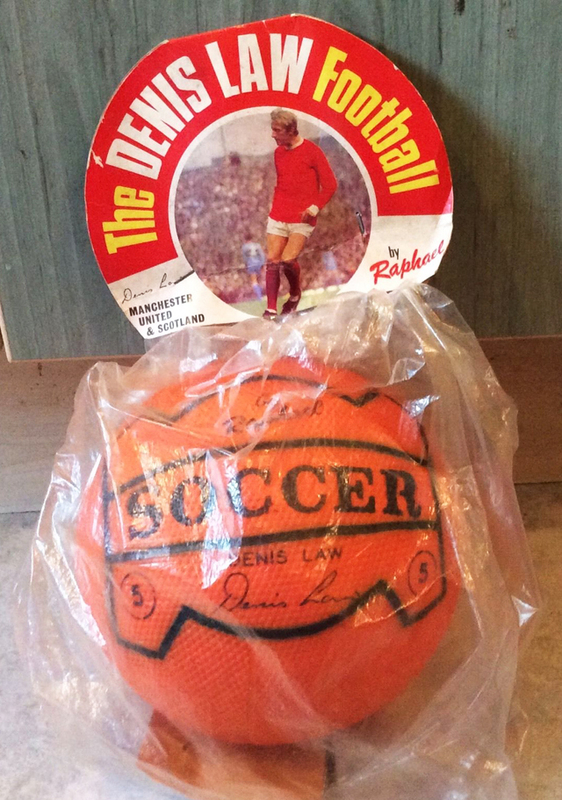 But it seems that Mettoy had a rival, as Rob Stokes pointed out to us… this Denis Law ball was “manufactured in Great Britain by Peter Raphael of Hempshaw Lane Stockport”. It is currently on eBay with a starting price of just under a ton. Editor of The FOX Fanzine - covering Leicester City for 23 years... it seems longer. This entry was posted in Uncategorized and tagged denis law, got not got, jimmy greaves, manchester united, the lost world of football, tottenham hotspur, wembley trophy ball. Bookmark the permalink.